Learn social selling tips for how to effectively engage with today’s busy B2B buyers. 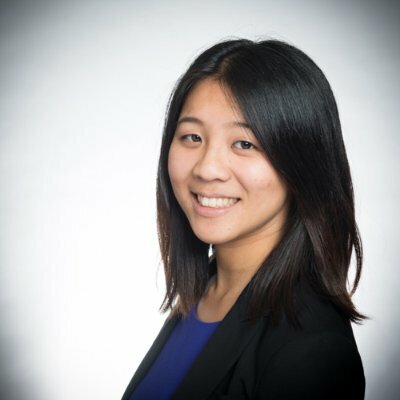 In a selling environment where 90% of decision makers no longer respond to cold calls or emails, social selling adoption has become a necessity for connecting with B2B buyers. Brynne Tillman, CEO Social Sales Link, tells us that “LinkedIn is a searchable rolodex of all your connections’ connections,” and today, with buyers five times more likely to engage if the outreach is through a mutual connection, leveraging connections is the ideal way to connect with buyers. In today’s post we are sharing insights from our eBook The New Formula for Connecting with B2B Buyers to give you an overview of how the B2B buying process has changed so that you can adjust your sales strategy to more effectively engage today’s buyers. 1. A majority of buyers and executives are using social media to make purchasing decisions. In a 2014 IDC study, researchers found that three out of four B2B buyers and eight of ten executive buyers use social media to make purchasing decisions. In addition, buyers who use social media are more influential, have larger budgets, and buy more frequently. Since these are the buyers you want to engage with, it makes sense to meet them where they are. 2. The buying process is more complex. CEB’s research shows that the average B2B opportunity has 5.4 decision makers involved. Today’s purchasing decisions require more discussion and due diligence, meaning buyers are careful to choose who they allow into the process. Sales reps who multithread by establishing multiple relationships within an account are the most likely to success. 3. Cold calls and emails are increasingly an immediate turn-off. Wasting a buyer’s time leads to wasted opportunity. Only 4% of buyers have a favorable impression of reps who reach out cold. However when reps reach out through a mutual connection, favorable impression rates jump dramatically, to 87%. 1. Establishing a professional brand. A complete LinkedIn profile with rich content and relevant connections will show buyers you are a trustworthy expert in your field. 2. Finding the right people. Identifying contacts and building leads within a company has never been easier thanks to the search capabilities of Lead Builder. TeamLink helps sellers rapidly identify which leads have warm path possibilities, and are thus more likely to close. 3. Engaging prospects. Instead of using databases that are quickly out-of-date, LinkedIn allows you to track when your prospects change jobs, have an anniversary, or get mentioned in the news, so you always have relevant information at your fingertips. 4. Building trust. With 76% of buyers preferring to work with a vendor recommended by someone they know, leveraging your LinkedIn connections for a warm introduction is becoming an essential part of reaching out to buyers. Continue reading the infographic below and learn social selling tips for engaging a larger percentage of your sales prospects. 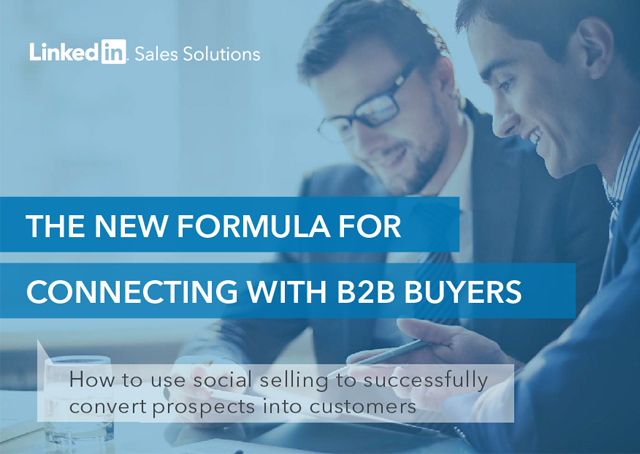 Learn how social selling has changed B2B sales relationships by downloading our eBook, The New Formula for Connecting with B2B Buyers.